At Applebee’s you will always be welcome for delicious food, in a neighborhood setting, with attentive service, at a great value. 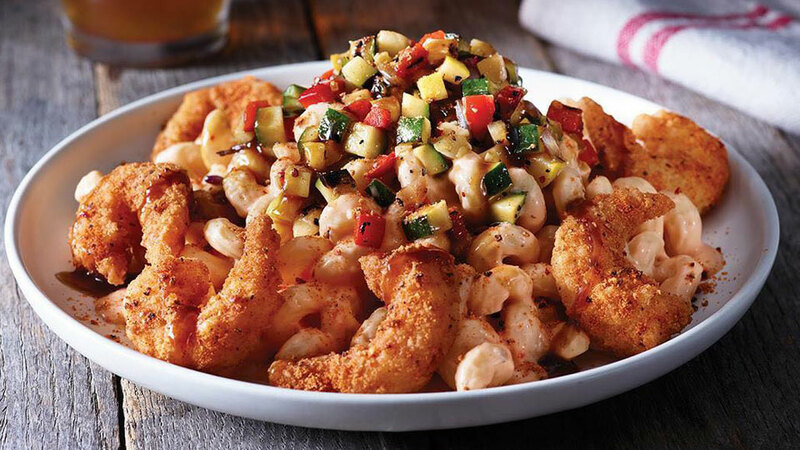 Located on Highway 97 across the street from the Bend River Mall, Applebee’s casual, family-friendly atmosphere and attentive staff make it easy to enjoy an extensive menu of delicious comfort food that is sure to have something for everyone. Open 11:00 a.m. – 11:00 p.m. daily, you’ll find an ever-changing list of special menu items along with favorites like pastas, seafood, burgers, sandwiches and more. Lighter options are also available, including salads, soups and a wide range of appetizers. Young diners will love the extensive kids’ menu, complementary crayons and comfy booths. Wash it down with soda or a milkshake or, for the 21 and over crowd, a wide selection of beer, wine and innovative cocktails. Whether you dine in or order ahead (by phone or online) and get your meal to go, there’s always something good in the neighborhood.